Care aides’ welfare is almost entirely overlooked in the health system, and it turns out the health of care aides affects the quality of care they deliver. Many of us have moms and dads or older friends and relatives in nursing homes and care very much about their well-being and the supports they receive. But who's caring for the care aides who do the bulk of the front-line work in nursing homes? Care aides' welfare is almost entirely overlooked in the health system, and it turns out the health of care aides affects the quality of care they deliver. Care aides, also known as nurse's aides, personal support workers or continuing care assistants, are the largest workforce in nursing homes in Canada. 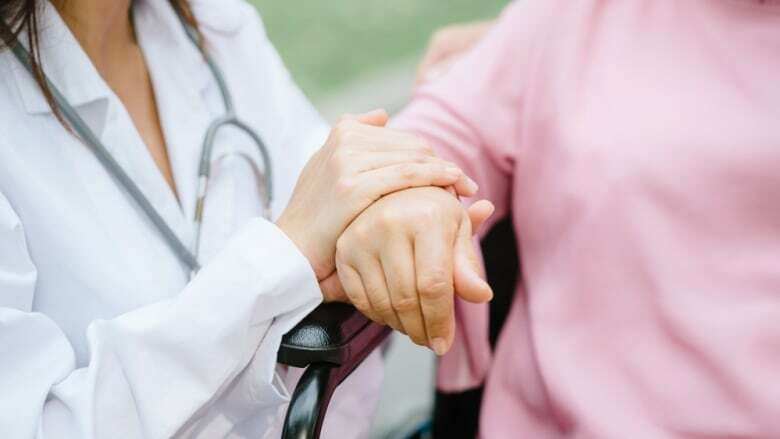 Research suggests between 75 and 90 per cent of direct care to residents is provided by care aides, including physical care, such as helping those they care for to eat, bathe and dress, as well as emotional care and social interaction. Their role is central to the quality of care and quality of life of nursing home residents. Yet up until recently, we've known little about them. When the health force is studied at all, typically care aides and registered nurses are lumped together, even though their job functions are distinct, and their educational, social and ethnic backgrounds, as well as their positions in the hierarchy of the health-care workforce, are often significantly different. Along with our colleagues at Translating Research in Elder Care (TREC), a Canadian research partnership, we recently published a study in the International Journal of Nursing Studies that surveyed almost 1,200 care aides from 30 different nursing homes in three western Canadian provinces. In our study we found that care aides work efficiently, sometimes under challenging conditions, and with a strong sense that what they do is meaningful — but the risk of burnout is great. Burnout is a psychological condition that's the result of work-related stress and can present itself as emotional exhaustion, such as a lack of emotional response or a lack of physical energy. It also can present as a negative and detached attitude and a lack of feeling of accomplishment in your work. Research shows that those who are burnt out report providing lower-quality care. More than 60 per cent of the residents in the nursing homes where care aides work have a dementia-related condition. High stress demands on care aides is linked to this complex and demanding care. We found that, on average, care aides experienced at least three dementia-related behaviours in the last five shifts. Combine these complex care demands with often inadequate staffing, limited or nearly non-existent continuing education and training opportunities and lack of decision-making opportunities for the residents they care for, and it's no surprise that the threat of burnout is high. The consequences of burnout are significant — and costly. If care workers are not healthy, their work suffers and so does the quality of patient care. Care aide burnout can also result in job dissatisfaction and affect workplace productivity, staff turnover and staff retention, as well as absenteeism. Based on this study and more than 10 years of research in nursing homes, we have a number of recommendations aimed at improving our understanding of the care aide workforce. First, we need to implement national training and continuing education program standards for care aides. Care aides increasingly need to know how to deal with complex residents, such as those with a dementia, and need the skills to provide quality care and opportunities to learn the latest best practices. Improving the work culture for care aides would also help with burnout, including strategies to engage them in decision-making about the residents they care for. Finally, we need co-ordinated efforts across governments to track the care aide workforce, including numbers and migration patterns across Canada. We also need mandatory provincial care aide registries. The regulation of the care aide workforce must be addressed, particularly given the frail, highly vulnerable population of older Canadians who are in their care. What's good for the carer turns out to be good for the nursing home resident too.